How to setup a !clip command for Nightbot. Sign up for Nightbot, give it moderator status and make it join your channel here. Of course, make sure to replace the INSERT_YOUR_API_KEY_HERE with your own NeatClip API key and INSERT_LINK_TO_YOUR_CHANNEL_HERE with the link to your channel. 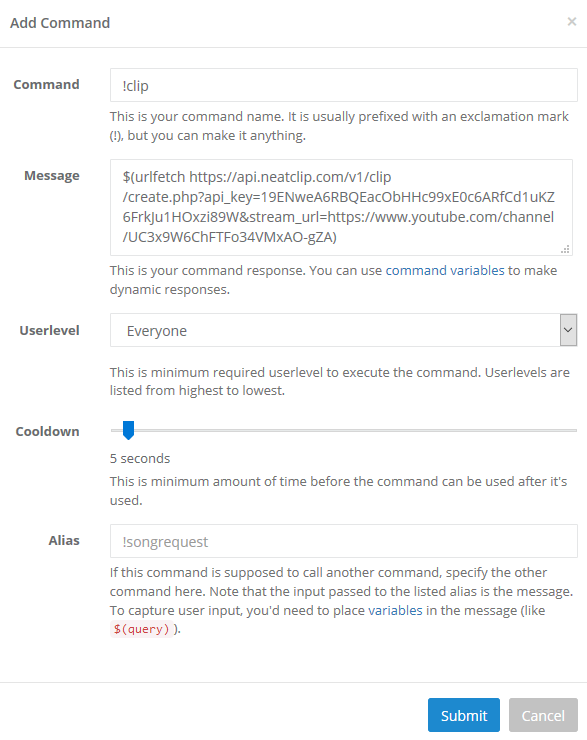 For the command name on Nightbot, use !clip.